Our patient food service is based on a cook freeze delivered meal service. The majority of the patient food is sourced from Apetito, a company based in Wiltshire and focussed on providing high quality, nutritious and appetising food to the healthcare sector. Many of the other hospitals in the south west also operate a cook freeze delivered meals service and also purchase from Apetito. All Apetito dishes are supported by nutritional information so we can be sure the dishes deliver the required nutritional content for patients in hospital. Our patient menu has recently been reviewed in line with the recently published Hospital Food Standards. The review was carried out by a group of staff comprising catering professionals, dieticians and nursing staff with help from patient representatives. All the dishes that appear on our seven-day menu have been extensively trialled and sampled by the group to ensure acceptability. The Trust’s dieticians are responsible for checking that all the selected dishes complied with standards laid down in “The Nutrition and Hydration Digest: Improving Outcomes through Food and Beverage Services”, particularly with regard to meeting the nutritional recommendations for Healthier Eating for those people who are nutritionally well and the recommendations for Higher Energy dishes, suitable for people who are nutritionally vulnerable. We have tried to keep the menu simple in order for patients to be able to recognise dishes and in order to appeal to people who may be feeling unwell. The menu provides for a continental breakfast, 2 course lunch including a choice of 6 hot dishes and 4 salad choices and a 3 course evening meal, including a freshly prepared wholesome, home-made soup, a selection of lighter supper options followed by a hot dessert. We have tried to include fruit at every opportunity, patients can now choose fruit pots for breakfast and for snacks between meals, lunch dessert includes fresh fruit salad made fresh every day and many of the hot desserts are fruit based. However, there are other non-fruit based dessert options available as well. We hope you will also enjoy the extended snack menu which offers scones, cakes, fruit pots, whole fruit, biscuits, yogurts and cheese and biscuits. The standard menu will offer dishes including energy dense/high calorie, gluten free, healthier, soft and vegetarian choices. There are separate menus for children, patients requiring texture modified, gluten free, modified or low fibre meals and for patients with ethnic, cultural and religious dietary needs. Most patients are given the opportunity to choose their meals in advance however; this is not always possible on wards where patients are very ill or on very short stay areas. The catering department produces some special diets on site following the cook-freeze system. If you are due to come into hospital, please inform the ward as soon as possible if you have special dietary requirements. In this way, we can ensure the required diet has been prepared and is in stock when you are admitted. In some cases, it may be necessary for you to see a dietician who will make a special request to the catering department for any dietary requirements you may have. While you are in hospital, members of the hotel services staff will serve your meals. We have listened to our patient’s comments and separated the cleaning and catering tasks. The Ward Housekeeper leads the meal service and will ensure you have everything you need to enjoy your food. The Housekeeper will be assisted by a hostess and members of the ward nursing team who are responsible for monitoring the patient’s intake of food and hydration. The Ward Cleaner does not undertake any food or beverage related duties. The Trust recognises the importance of a quiet, conducive environment in which to enjoy your meals so we will try to keep interruptions to a minimum. 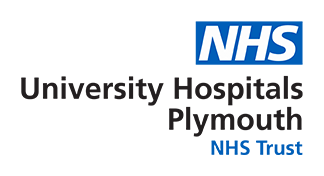 Nursing staff will be on hand to assist with feeding those patients who need help and although we discourage visitors during meal times, relatives are very welcome to stay if they wish to offer help with feeding. Keeping hydrated is really important to your recovery so the Ward Housekeeper will serve hot and cold drinks at frequent intervals through the day. Sometimes patients may miss a meal due to receiving treatment or undergoing tests. If this should occur, the ward staff can arrange a sandwich snack box or an individual microwaveable meal for you. If this is not made available to you, please ask a member of the ward team to arrange it. If you would prefer a light snack, cereals, toast and preserves, biscuits, cakes and fruit are available from the ward kitchen 24 hours per day. If you experience any difficulties with the food service, please ask to speak to the Ward Housekeeper or Nurse In Charge who can request a member of the Hotel Services management team to visit you. We appreciate the opportunity to resolve difficulties as soon as possible rather than patients going home dissatisfied with this aspect of their stay.